In this study we learn that the covenant goes beyond worship and God’s people; that it is really about His kingdom. 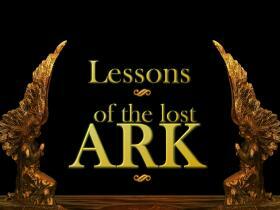 We learn that the lost ark pictures a broken covenant while the “found” ark pictures God’s faithfulness to us. In this study we learn why we need to remain vigilant in honoring the holiness of God. Pastor Waggoner reminds us that a proper respect of God is needed in our spiritual life. Pastor Waggoner shows us how important it is to give our full attention to our relationship with God; as our inattention can result in our misuse of His glory. Pastor Waggoner reminds us that God is with us to guide us and get us through life and he discusses how the Ark is a reminder to us of this truth.